MSP® is a proven project programme management practice towards effective programme management. Simplilearn offers MSP training courses to professionals through blended model. Our MSP certification training program includes online MSP Foundation Training and interactive MSP Practitioner classes in your city. MSP® Certification is a widely recognized professional certification that is offered to professionals demonstrating their proven expertise in effective programme management. Managing Successful Programmes (MSP) is a proven programme management practice that is used towards successful delivery of transformation change. 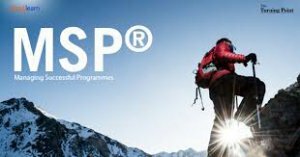 MSP is considered as the best practice guide on Programme Management; a guide that comprises a set of Principles, Governance Themes and a set of Processes for use when managing programme. MSP certification establishes one’s strong base over the set of principles and processes for managing programmes in the global market.